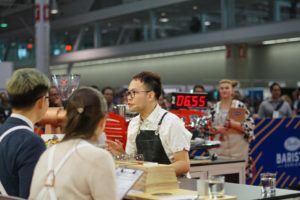 From an incredible 55 competitors over two days of preliminary rounds, Dove Chen advanced into the top 16 on April 12th in Boston at the World Barista Championship. After an amazing semi-final performance, only six were chosen to go through to the final, and unfortunately, this wasn’t our year. The coffee that Dove presented was an anaerobic fermented Gesha from Finca Nuguo in Panama. He incorporated his message of tasting the rainbow and happiness into a fun routine. A photo of his family was sweetly displayed so the judges could see what brings him joy. Diffusers created the aroma of the coffee farm creating a full sensory feast. 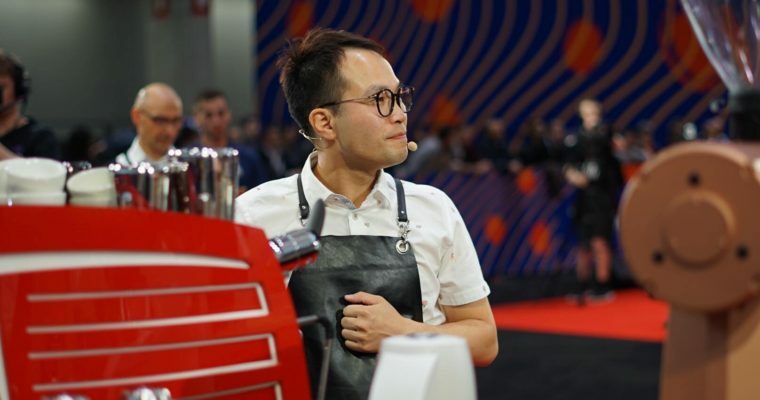 Before moving to the espresso machine to make his first round of drinks, Dove mixed up egg whites into a standing mixer for his signature beverage. 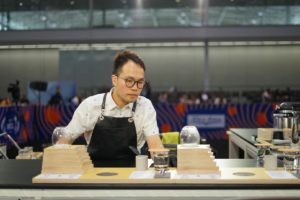 Lime oil, cascara syrup, apple syrup, and egg white foam were blended together with Chen’s Finca Nuguo espresso for this course. These components complimented the green grape, sweet lime, green apple, and jasmine flavour notes in Dove’s espresso course. 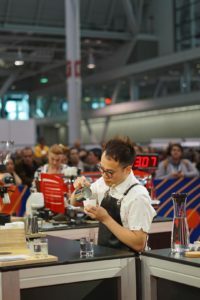 Finishing off his routine with the milk course, Chen’s 1:1 milk to espresso beverage created notes of ripe banana, cocoa nib, malt, and butterscotch. Well done Dove and Team New Zealand, we are so proud. The World Champion is Jooyeon Jeon of South Korea, and she becomes the second woman in a row to win the title. Rounding out the top six rankings were Greece placing second, Canada third, Indonesia fourth, Germany fifth and Switzerland sixth. Representing New Zealand as WBC judges were Chris White, and Richard Corney, who judged in the final round. 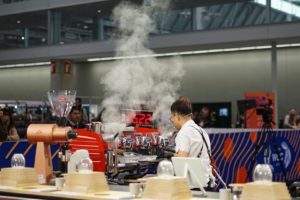 The international team of judges were led by our World Coffee Events representative Emma Markland Webster. 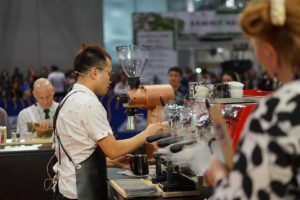 The next WBC is being held in Melbourne from May 4th – 7th 2020. 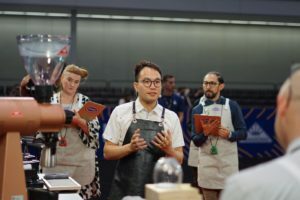 The Meadow Fresh New Zealand Barista Championship 2020 dates are set for March 21st – 22nd 2020.